Lemonade is one of Chick-fil-a's most frequently ordered beverages; they squeeze over 71 million lemons (freshly, on-site) each year. They have recently changed the recipe for their diet lemonade to include Splenda. "We have continued to work with our original recipe in order to maintain our high quality throughout the years," said Chick-fil-A Dietitian Jodie Worrell. "Not only are we proud to start a relationship with the SPLENDA® Brand, but we feel our customers will appreciate our continued commitment to using premium sugar substitutes in our Diet Lemonade recipe." I'm a fan of Splenda and have been using it to make my own lemonade at home for a couple years now. You'll find some folks that complain that Splenda isn't natural and contains dangerous chemicals (much like the complaints about the most used artificial sweetener Aspartame, aka Nutrasweet), but I haven't read any convincing scientific proof. What I do know is that Splenda tastes a lot more like sugar than Aspartame. Chick-fil-a's diet lemonade is a good alternative for anyone that wants to spare themselves excess calories from soft drinks loaded with high fructose corn syrup, but still enjoy something that tastes sweet. Chick-fil-a's diet lemonade contains Freshly-squeezed lemon juice, water, Splenda® (dextrose, maltodextrin, sucralose). The 21 oz. 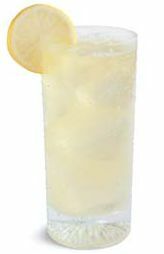 large diet lemonade has only 50 calories, 10 mg sodium, 12 g carbs, and 6 g sugars. Their regular (non-diet) large lemonade has 390 calories and 93 g sugars. It puts the other fake sugars to shame. this is a complete joke. it will not hurt you...but will not do anything you. Stanley buroughs was a joke and always will be. if you cant make it 5 days thru this diet then sorry you should.....die. it is so easy in fact ten days is so easy.